Neotys collaborates with a range of infrastructure and application technology partners — from the world’s leading IT companies to innovators with expertise and market presence in areas strategic to Neotys. Together we deliver value through bleeding-edge functionalities, game-changing innovations and breakthrough integrations for the benefits of Neotys customers and service partners alike. Taking performance testing to new heights while ensuring comprehensive support for leading platforms are our missions. These are partners with market-leading expertise and presence in focus areas strategic to Neotys. Together we deliver cutting-edge solutions for physical, virtual, and cloud test environments. Top enterprises all over the world trust our application performance management solution to help their teams focus on what matters most—that production apps always perform, even in the most complex multi-cloud environments. Applause is leading the app quality revolution by enabling companies to deliver digital experiences that win – from web to mobile to wearables and beyond. By combining in-the-wild testing services, software tools, and mobile sentiment analysis, Applause helps companies achieve the 360° app quality™ they need to thrive in the modern apps economy. Netropy by Apposite gives testers the ability to introduce network impairments when measuring the quality of mobile, cloud, video, or IoT applications. Cellular, Wi-Fi, satellite, and many other networks and conditions can be emulated in the lab at high scale without the need to run applications over real networks. Distance and network errors can be simulated with granular control of latency, packet loss, packet errors, and bandwidth constraints. Bitbar, the Mobile DevOps Company, specializes in automation of continuous mobile software delivery for enterprises. We help Global 2000 companies adopt DevOps in their mobile development and gain success by achieveing automation rates of over 90% in every phase of their build-test-deploy-monitor process. Bitbar solutions bring value to agile CI/CD methodologies with high-performance mobile software build, automated testing, instant deployment and production monitoring process for native mobile app developers, game developers and mobile websites that rely revenue generation from their products. Cyber Test Systems was created in 2014 by Gregory FRESNAIS and Laurent CHABENET, with more than 20 years of experience in the performance testing and network security industry. Today, Cyber Test Systems is defined as a team of developers and experts in Cyber Range, located in two offices in France and Singapore. The main company mission is to train private, public and government organizations to prevent cyber-crises by anticipating them and training teams to the maximum level of challenges and risks. Ekobit specializes in delivering Application Lifecycle Management products and services with focus on Test Data Management. With customers in over 30 countries and more than 22 years of experience in the enterprise segment Ekobit acts as a trusted ALM partner with a proven track record of successful projects. The BizDataX test data management solution offers innovative enterprise level data masking, data subsetting and synthetic data generation capabilities and is specifically designed to provide test data for highly complex IT systems. For more information please visit www.ekobit.com and www.bizdatax.com. ICEsoft Technologies Inc. is a leading global provider of critical enterprise software solutions for desktop and mobile enterprise. ICEsoft products are used by over 20,000 enterprises worldwide, with a developer community now exceeding 150,000 developers. Inflectra is dedicated to helping our customers – large corporations, small businesses, professional services firms, government agencies and individual developers – with the means to effectively and affordably manage their software development and testing lifecycles, so as to decrease the time to market and increase return on investment. Ixia provides application performance and security resilience solutions to validate, secure, and optimize businesses’ physical and virtual networks. Enterprises, service providers, network equipment manufacturers, and governments worldwide rely on Ixia’s solutions to deploy new technologies and achieve efficient, secure, ongoing operation of their networks. 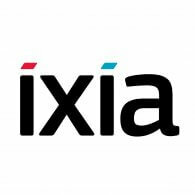 Ixia’s powerful and versatile solutions, expert global support, and professional services equip organizations to exceed customer expectations and achieve better business outcomes. Since 2008, Jamo Solutions has been helping its customers test the quality of their mobile applications. Supporting a wide range of mobile operating systems, including iOS, Android, BlackBerry and Windows, M-eux Test from Jamo Solutions allows you to write scripts for functional, regression and performance across different operating system versions and across different devices. Weswit, with its flagship product Lightstreamer, is a global leader in real-time web streaming solutions. Since the beginning, Weswit has been focused on real-time technologies aimed at making the Web a live environment, and superseding the traditional web paradigm, where any update had to be “pulled” by the client rather than “pushed” by the server. Microsoft Platform Ready (MPR) is designed to give you what you need to plan, build, test and take your solution to market. We’ve brought a range of platform development tools together in one place, including technical, support and marketing resources, as well as exclusive offers. MongoDB is reinventing data management and powering big data as the leading NoSQL database. 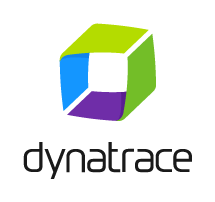 Designed for how we build and run applications today, it empowers organizations to be more agile and scalable. MongoDB enables new types of applications, better customer experience, faster time to market and lower costs. It has a thriving global community with over 5 million downloads, 100,000 online education registrations, 20,000 user group members and 20,000 MongoDB Days attendees. The company has more than 600 customers, including many of the world’s largest organizations. Perfecto is transforming the way enterprise organizations go mobile, enabling them to develop, test, deploy and monitor their mobile applications and services and go-to-market with confidence. Perfecto’s cloud-based MobileCloud™ Platform and end-to-end mobile quality product suite enables users to remotely access a large selection of real mobile devices connected to local cellular networks around the world and leverage them throughout the mobile application delivery lifecycle – from development, functional and performance testing to monitoring and support. The MobileCloud™ is available either in an enterprise private cloud or a sharable public cloud environment. Parasoft’s tools support the entire software development process, from when the developer writes the first line of code all the way through unit and functional testing, to performance and security testing, leveraging service virtualization along the way. Parasoft’s unique analytics platform aggregates data from across all testing practices, providing insights up and down the testing pyramid to enable organizations to succeed in today’s most strategic development initiatives, including Agile/DevOps, Continuous Testing, and the complexities of IoT. Push Technology is trusted by leading brands worldwide to manage their web, mobile, and IoT application data. Every business developing next-generation applications, and working on digital transformation initiatives, requires advanced technology to streamline Internet communications to and from back-end systems and applications—reliably, globally, and at scale and speed. QASymphony offers a suite of software-testing tools purpose built to help agile development teams improve speed, efficiency and collaboration. qTest is a Test Case Management solution that provides a better way for companies to centralize and manage test cases. QFS is a German tool manufacturer located south of Munich and focuses on quality assurance. With the product QF-Test, QFS has been firmly established in the market since 2001. Launched as a professional tool for the test automation of applications with Java Swing surfaces, the range of functions has evolved continuously. Qumu is the leading provider of best-in-class tools to create, manage, secure, distribute and measure the success of live and on demand video for the enterprise. As a trusted advisor to clients and partners, Qumu is the innovation leader when scalability, reliability and security are critical. Ranorex is a software development company that provides innovative test automation software – the company is dedicated to fundamentally improving the quality of software applications. Thousands of companies and education institutions around the world make use of Ranorex’s comprehensive test automation suite. If you’re struggling to scale and secure your apps and data in the cloud, you’re not alone. A recent survey of 1,000 companies using the cloud showed that a “lack of expertise and resources” was a major hurdle. TmaxSoft is a global software innovator focused on infrastructure and data modernization. TmaxSoft provides a software stack to modernize and support applications originally developed for IBM Mainframes under z/OS or Oracle RDBMS and Middleware. Our mission is to empower your business to deliver great applications that work flawlessly. Forrester Research’s 2015 study “Why Good Apps Are Not Good Enough” discovered that great apps generate a 5x greater return than good apps. Great apps also reduce operational costs by a wider margin than good apps (29 percent versus 17 percent) and foster a larger increase in employee productivity (44 percent versus 34 percent). Tricentis provides the leading enterprise software testing solutions for Global 2000 companies to accelerate business innovation. The unique Tricentis approach of business optimized software testing enables enterprises to achieve unprecedented automation rates while minimizing business-related risks. Tricentis solutions empower organizations to systematically align software testing with business needs, so they can harness technology change while optimizing cost and efficiency. Our mission is to make building amazing web applications easy. Everything we do is rooted in the open source Vaadin Framework, that we’ve built since the year 2001. We believe in open source, transparency and that the best user experience wins. Our passion is optimizing the developer experience of the Vaadin Framework. Our business is helping you create something valuable with our technology. Releases, requirements, specifications, tests, exploratory sessions, datasets, environments, testplans, test reports, test campaigns, defects and much more. Zephyr is a leading provider of on-demand, real-time enterprise test management solutions, offering innovative applications, seamless integrations and unparalleled, real-time visibility into the quality and status of software projects.